The cost of attending college or university in the United States can turn a lot of potential students away from getting their degree. Yet, there are still millions of Americans who nonetheless want to attend college, even if they don't have the finances to do so. Many students will first apply for grants and after that, they will likely need to seek out student loans. Student loans can help students afford their tuition, but since you'll just be borrowing the money, you will need to pay it back eventually. Not only that, but most student loans come with incredibly high-interest rates, which make repayment difficult. This is how some borrowers end up defaulting on their student loans, which is a very serious matter. Before taking out a student loan, then, it's very important to understand what can happen if you default. Student loans make paying for college easier, however, the financial relief is only temporary. 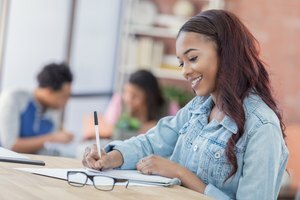 Once a student graduates or signs off on their loans, they typically get a six month grace period before they need to start making monthly payments. Unfortunately, for students that are not able to easily find a high-paying job in their field after graduating or they continue their schooling, paying back loans can be close to impossible. This is also true for young people who do get a job upon graduation, but they are struggling to pay for things like rent, a car or transportation, food, health insurance and other living expenses. Of course, this is even more difficult for those who have children. When the bills start to pile up, people need to prioritize the expenses that are most important. If there's very limited money coming in or if bills are extremely high (or both), it's not uncommon for people to put their student loan payments on the back-burner. But the longer a person waits to make their monthly loan payments, the more trouble he or she will be in down the road. In addition to owing on past payments, you will also owe late fees and interest. Failure to meet your monthly student loan payments can result in default, which can cause financial ruin for a lot of people. Many people may have heard the term "student loan default," but they don't necessarily know what that entails. A loan that's gone into default is a loan that hasn't been paid in more than 270 days. It usually happens when a person knows that they are no longer able to make payments on their loans and have not had the issue resolved in a way that would prevent the loan from going into default. That being said, it's not always possible to get the issue resolved so that the borrower able to afford the payments. Before a loan goes into default, it will go into delinquency. Delinquency occurs for the first time right after the borrower has missed a monthly payment on their loan. In many cases, people sometimes miss a payment simply because they forgot or they've had something come up suddenly which they needed to use the money for. Most people are aware rather quickly if they've missed a payment and will resolve it as soon as possible with a phone call to the lender or just by making the payment owed. However, the loan will remain delinquent until you've completely cleared the error, including a payment for the late fee incurred. When the loan has been in delinquency for more than 90 days, the status will be reported to three major credit bureaus by the loan servicer. By the time your loan has gotten to this point, it can be difficult to fix, yet not impossible. You will have to call the loan servicer or work with the credit agency to find a solution, which involves paying what you missed as well as all the late fees. And don't forget about all the interest the loan has accrued in that time. Obviously, this makes the situation much worse for the borrower, who perhaps never intended on missing a payment in the first place, but they had no other choice. At this point, you can begin to start noticing some significant problems with your credit score, because the credit bureau will have this information against you. How Does a Loan End Up in Default? While loan delinquency is bad for your credit, it's nothing compared to defaulting on your loan. A person will default on their loan after a payment has not been made in at least 270 days, which is approximately nine months. However, this varies depending on the loan company as each lender may have slightly different criteria. Once a loan is in default, it's difficult to fix the problem and everything else it may affect in your life. Though most loans will go into default around the 270-day mark, it's important to note that this number is strictly for federal loans given by the government and not loans given out by private lenders. Loans provided by private lenders, such as banks or Sallie Mae, can go into delinquency and default much faster than federal loans. 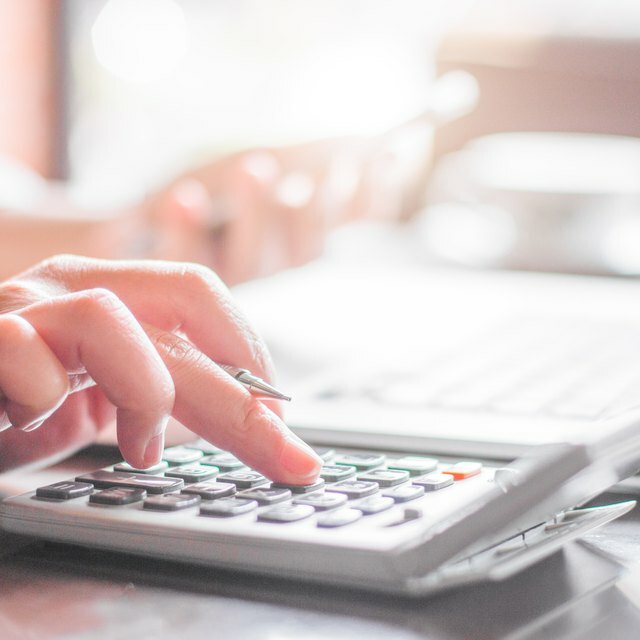 When it comes to a private loan, typically, it can go into default in as early as three months if you haven't been making payments in that time period. While both federal loan lenders and private loan lenders will go through various measures to get their money back, their tactics are different. The federal lenders certainly have a lot of resources at their disposal to get you to pay your money. But, in many cases, they are more patient and will work with you in whatever way they can, as long as you are willing to fix your late payments and pay on time in the future. The private lenders, on the other hand, are usually very impatient and will stop at nothing to get what you owe them. To do this, they can and will have to file a lawsuit against you, which can lead to a court judgment which can ultimately involve them trying to sue you. In the meantime, they can start sending notices to your cosigner for payment, which can lead to additional problems. The only good news with this is that due to the Fair Debt Collection Practices Act, and the fact that there is generally a statute of limitations on how long the lender can pursue the borrower for money, after some time, you may stop getting harassed by them. However, the lender can easily reset the clock on that statute of limitations, so in some cases, it's only a matter of time before they start going after you again. In the end, your credit will still be severely harmed in the process and it's not worth it to let it get to this point. 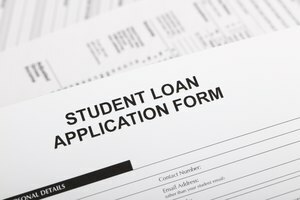 According to the U.S. Department of Education, data has only recently started to be collected on the student loan default rate throughout the country. Based on the information, the loan default rate has increased from 11.3 percent to 11.5 percent for students who entered repayment between the fiscal years of 2013 and 2014. If you're wondering how many people that is, an article by CNBC News stated that as of June 30, 2017, there were more than 8.5 million Americans who had defaulted on their student loans. And, as the student loan debt is around $1.4 trillion, it doesn't seem like the problem is going to improve any time soon. The student loan default consequences can be quite extreme. First and foremost, your credit score will drop significantly. When your credit score is low and your credit report has negative marks on it, it can be difficult to do anything from buying a car to renting an apartment, to taking out a credit card or even opening up a bank account. You could lose your opportunity to sell any assets you may have, such as real estate. You may even have a hard time doing things like getting a driver's license or a passport. You also will no longer be able to put the loan into forbearance or deferment, which may have helped you out had you done that sooner. Also, remember that both federal and private student loans are nearly impossible to discharge when declaring bankruptcy. Many people who are struggling to pay their loans may consider bankruptcy as an option, but unfortunately, it won't help in this case. Choose a school that has a somewhat affordable tuition. Think hard before taking out loans to begin with. 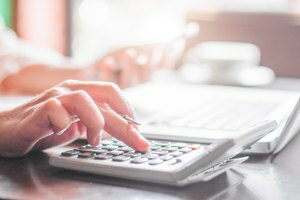 Understand how much you need to take out, and what the interest will be on those loans. Also, make sure you read about the various repayment methods. Consider consolidating your loans to reduce interest rates and make monthly payments simpler. Choose a repayment plan that works for you based on your income. Sometimes "income-based" payments are the best, however, it may take longer to pay it off because of the interest. It could help prevent you from defaulting. Set up automatic payments, so that you will never accidentally forget to make a payment. If you are struggling to make payments, call the lender immediately to see what your options are. Forbearance and deferment are both temporary solutions if you can't pay at the moment. Ask for help. Of course, not everyone can resort to this option, but if you're falling behind on your payments, perhaps a friend or family member can lend you a hand for the time being. Is There Student Loan Forgiveness? Student loans can be canceled, discharged or forgiven for a number of different reasons. For instance, depending on which loans you have, if you enter a job in public service, like teaching, you may be able to get your loans forgiven after a certain number of years in the field. If you are on disability or sadly, if you die, then loans can sometimes be forgiven, too, though in many cases, they can be passed onto your loved ones or a cosigner. Loans can also sometimes be forgiven depending on the payment plan you take out. For example, if you pay your loan on time for 20 years, whatever is remaining after that time will be forgiven. It all depends on the lender, the nature of the loan and your specific circumstances. 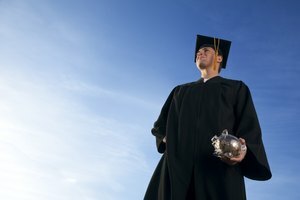 Student Loan Hero: Facing Student Loan Default? LaRock, Hana. "About a Student Loan Default." 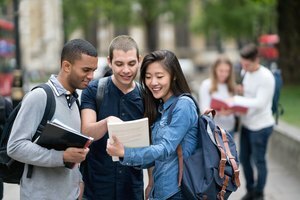 Synonym, https://classroom.synonym.com/about-a-student-loan-default-13714937.html. 18 September 2018.